3. Luman, Bob Amarillo Blues Imperial (Calif.) uniss. 4. Luman, Bob Wild Eyed Woman Imperial (Calif.) uniss. 5. Luman, Bob Blue Days--Black Nights Imperial (Calif.) uniss. 10. Luman, Bob Make Up Your Mind Baby [alt. vers.] Imperial (Calif.) uniss. 11. Luman, Bob Your Love [alt. vers. 1] Imperial (Calif.) uniss. 13. 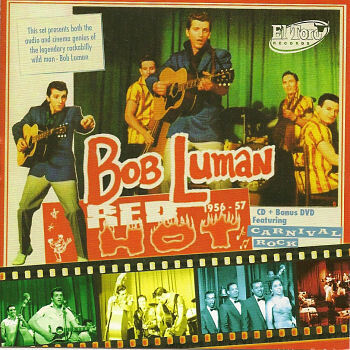 Luman, Bob Your Love [alt. vers. 2] Imperial (Calif.) uniss. 14. Luman, Bob Make Up Your Mind Baby Imperial (Calif.) X8314 1957/Dec. 15. Luman, Bob Stranger Than Fiction [unissued] uniss. 16. Luman, Bob You're The Cause Of It All [unissued] uniss. 17. Luman, Bob That's Allright [Jim Shell] [unissued] uniss. 18. Luman, Bob Hello Baby [Jim Shell] [unissued] uniss. 19. Luman, Bob In The Deep Dark Jungle [unissued] uniss. 20. Luman, Bob Let Her Go [unissued] uniss. 22. Luman, Bob No Use In Lying Imperial (Calif.) uniss. 23. Luman, Bob That's Alright With Me [Abbott] [unissued] uniss. 24. Luman, Bob Hello Baby [Abbott] [unissued] uniss. 25. Shadows  The Creep – (instr.) [unissued] uniss. 26. Shadows  Shadow Rock – (instr.) [unissued] uniss. 27. Shadows  Jumping With The Shadows – (instr.) [unissued] uniss.